Triple Strand Navajo Pearls Necklace handmade by Native American artist Rose Martin. Authentic Navajo Pearls are sterling silver beads made entirely by hand by Native American silversmiths. 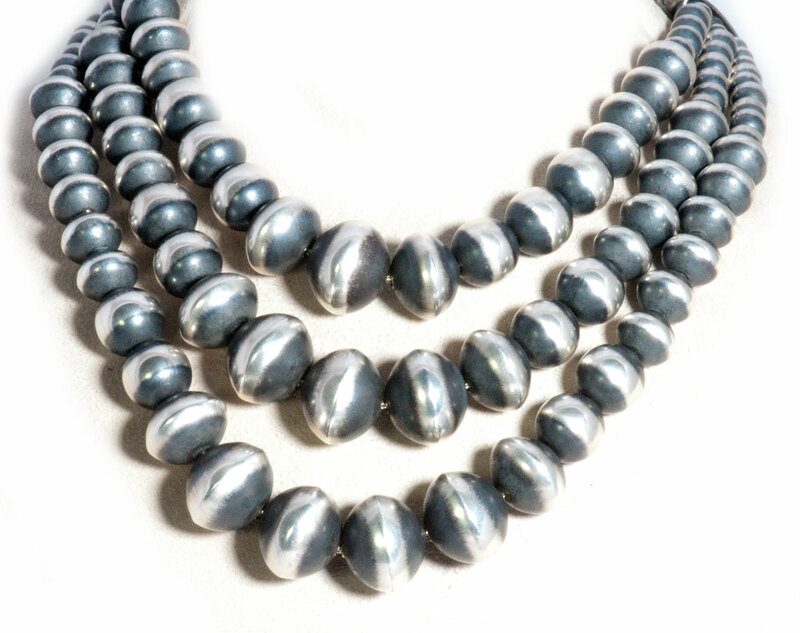 Handmade Navajo Pearls are hand-crafted by using heavy gauge sterling silver from which they cut, stamp, drill, solder, file, polish, and string. Handmade beads are very labor intensive, therefore much more expensive than bench made beads. Because each bead is made individually, there will be slight variations from bead to bead. Sterling silver has always been a popular choice for jewelry because of the metal’s sparkling beauty and versatility. Since the dawn of civilization, men and women have been captivated by silver’s spell and splendor. Throughout the ages this mystical white metal has been used to mark historical milestones, celebrations, achievements and special occasions. No one knows with certainty when the first silver gift was bestowed. But as early as 3,100 B.C., ambassadors from Crete were already bringing silver vases as gifts for Egyptian rulers. The metal’s popularity has even influenced our languages and customs. A silver spoon has symbolized great fortune and privilege since the 17th century when the Spanish writer Cervantes cleverly acknowledged that not everyone was born with one in his mouth. The tradition of the “silver anniversary” dates back to Germany where it was customary to present a silver wreath to a woman after 25 years of marriage. The collective of artists at Bilagaanas operate around the vision of creating preeminent quality Native American jewelry. Rose is a Navajo artist from Pinedale, New Mexico. She learned the art of making silver beads from her aunt Nellie, who was among the first to create handmade Navajo beads. Every member of Rose’s family has made beads, including two of her children. She has been making her living, doing what she learned in her youth, for over 30 years. Her beads are carefully made with pride, making hers stand out from the rest. 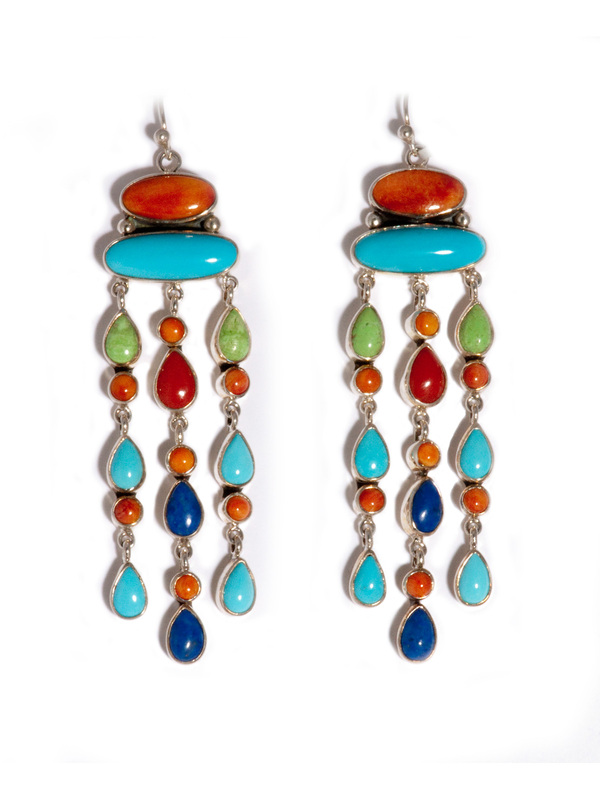 Reflecting the traditions and colors of the Southwest, the nationally recognized artists at Bilagaanas produce both classic designs and one-of-a-kind pieces. Dedicated to design consistency and uniqueness, each and every craftsperson at Bilagaanas contributes to all jewelry pieces created, adding their unique touches of inspiration and expertise. 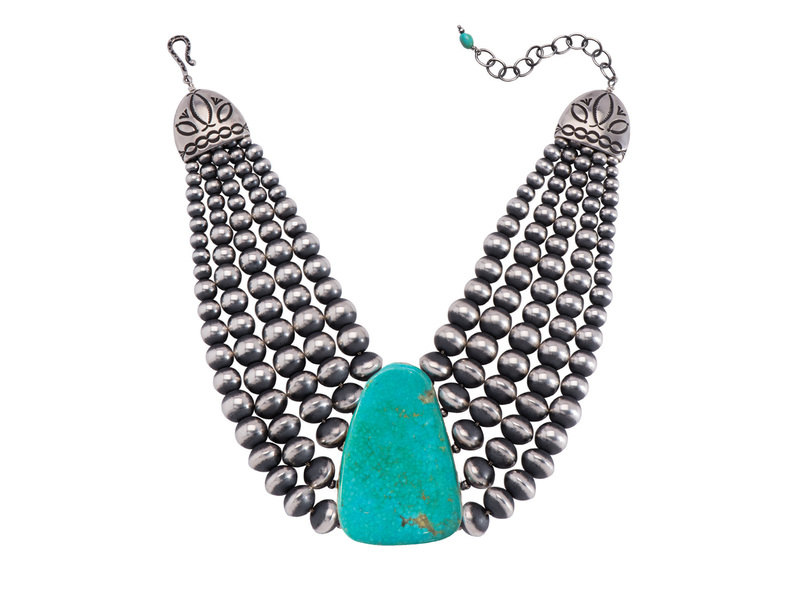 To own a handmade piece of Bilagaanas jewelry is to own a true piece of Southwestern heritage.